Here’s the dilemma: You live in Zürich and want to go to the Expo 2017 in Astana, the capital of Kazakhstan. But you plan to drive and you own an electric car, a Tesla Model S 85. There are almost no Tesla Supercharger locations along the way. Some of the populations you will be driving through have never even seen an electric car. Should you give up in despair or press on regardless? At the beginning of the automotive age, driving a car long distances meant taking risks and being intrepid explorers — boldly going where no one had gone before, to paraphrase James T. Kirk of the starship Enterprise. Benedikt and Magdalena certainly fit that mold. It all started in the fall of 2015 when Magda gave Benedikt a biography of Elon Musk. That simple act led to the couple renting a Tesla Model S and camping throughout Italy, Austria, Slovakia, and Poland. That experience led them to a new understanding — driving an electric car actually brought the experience of visiting a foreign country into sharper focus. Stopping to recharge brought them in contact with the local culture in a way that is just not possible when the modus operandi is to gas up and go. 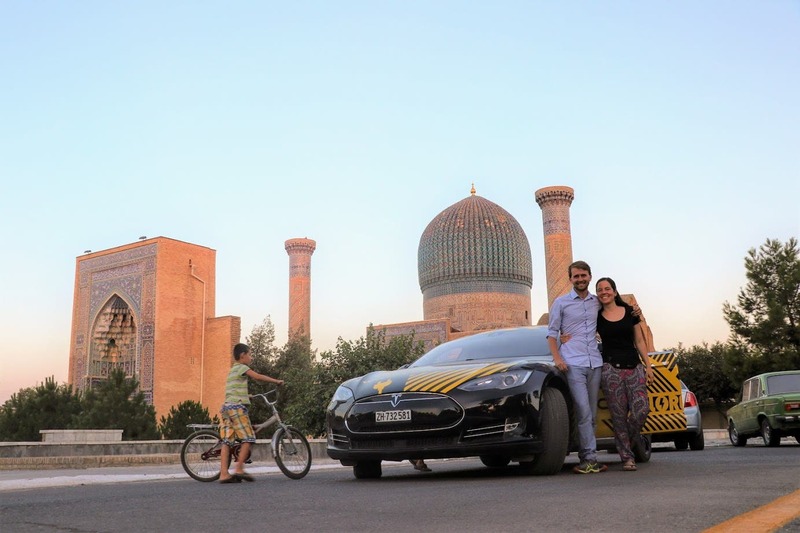 Soon, the couple decided to buy a used Tesla Model S 85, the car they intended to drive through central Asia to Kazakhstan and back. Benedikt says the purpose of the trip was to “experience something unique, to be a pioneering explorer and to influence people that traveling long distance with an electric car is not that big of a deal after all.” Other Tesla pioneers have traveled from the UK to Morocco and back, but did not have to contend with the total lack of charging infrastructure along the way. Charging in countries where chargers are nonexistent is a challenge, if nothing else. Benedikt explains, “Charging is indeed an adventure from country to country. In Europe and Turkey we were often dependent on three phase charging overnight (in order to continue on the road the next morning), which is why we simply only stayed in hotels that gave us access to their three-phase outlet. 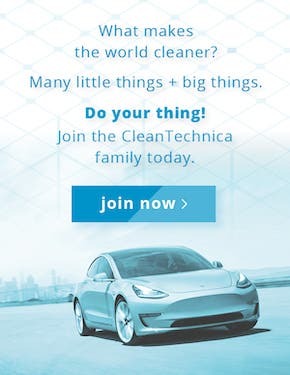 Where to find electricity to recharge the Model S? Benedikt says, “There were a couple of lessons learned. Big cities always have parking garages, and parking garages in 95% of the cases feature the finest three phase CEE industrial 11kW or even 22kW outlets. Also, never go to the hotels in the center of town — they simply don’t have ample parking space, let alone electricity hanging around. Benedikt passed himself off as an experienced electrical engineer on more than one occasion in order to obtain access to people’s fuse boxes. “Charging is really straightforward and simple,” he says. “The major challenge is breaking through mental barriers and preconceived notions. Everywhere you encounter electricity, there must be a decent three-phase connection very close by. All that poking around in strange electrical panels resulted in surprisingly few incidents. Maybe it really is as simple as Benedikt says. Many people believe electric cars need some form of “special electricity” in order to charge properly. “Electric cars charge with exactly the same voltage that comes into your house. A fancy looking Level 2 charger from ABB does nothing special at all, except for communicating with the car that everything is alright and making sure the power connection is secured against wind and water. “We had our own mobile wall box, an NRGkick, with us. As I said earlier, when there’s a light bulb glowing, that indicates that one phase electricity is available. The other two phases can’t be too far away, we just have to find them. And that’s exactly what we did. No planning at all whatsoever. 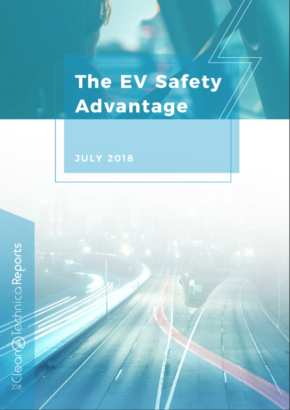 “Between the last Level 2 public charger in Tbilisi (Georgia) and the first one again in Kazan (Russia), we knew that we were on our own, and that any attempt ‘to plan’ charging would be futile. This turned out to be 72 days of charging in the wild. “In effect, we became excellent truffle pigs, sniffing for the best electricity in any given street of car workshops, hotels, and commercial parking garages. Between Iran and Kazakhstan, we arrived at a hotel or workshop and simply explained, as good as we could, that we need the most direct access to three phase electricity possible. In 95% of the cases, the receptionist had no clue what we were talking about. Experimentation became the norm. “The actual connection was very easy — just connect all three phases of my open wire, connect the neutral, then connect the mobile wall box and start charging. The biggest problem was trusting all the hazardous wiring setups we encountered. Could I put 32A on it, or better only 25? Maybe only 16A? The only political hurdles in their trip occurred in Turkmenistan, a country Benedikt refers to as “the North Korea of Asia.” (Editor’s Note: North Korea is also part of Asia, but I guess the point is Turkmenistan is a hermit-like country in West Asia.) The troubles began as soon as they got to the border. “Knocking on the gates of Turkmenistan, we made first contact with police arbitrariness on an astronomical scale. 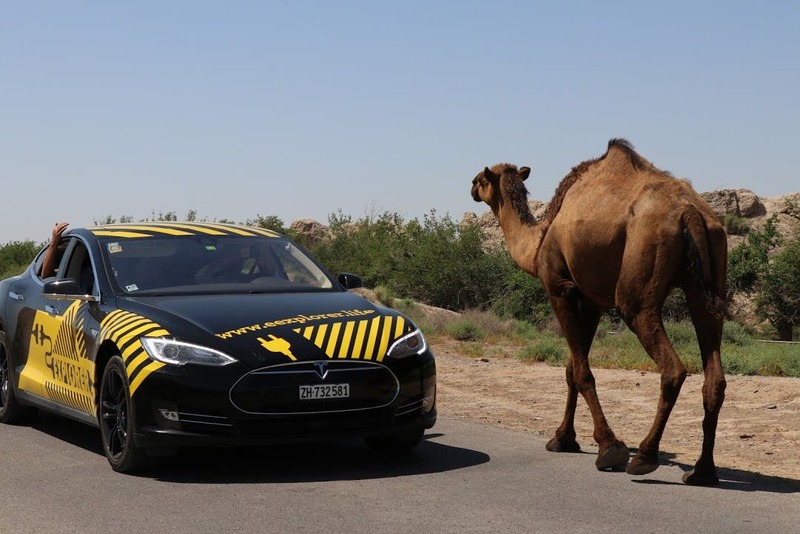 We were denied entry to Turkmenistan on the grounds that our car was a) black (which alone has recently become an offense in Ashgabat), b) with tinted rear windows, c) with yellow stickers, and d) electric. Now that the journey is over, Benedikt has had a chance to reflect on the adventure and what it means for the future of electric cars. 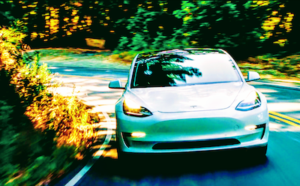 “Electric mobility is polarizing society, from the next-door neighbors fearing battery meltdowns in their backyard to the environmental activist hailing a new dawn for the planet,” he says. 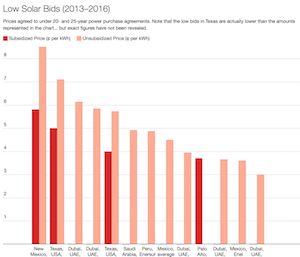 “From power utilities challenged by more (or will it be less?) strain on the grid to established carmakers paradoxically suppressing demand as long as they can. From politicians eager to meddle with research and innovation to young entrepreneurs raking in grants and investments from governments they love to hate. Note: Benedikt Ummen graduated from ETH technical university in Zürich, Switzerland, with a BSc in Mechanical Engineering in 2014. 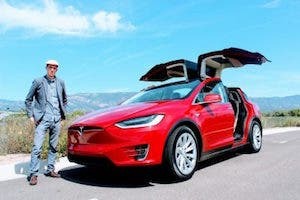 After having been employed in the Swiss venture capital sector for three years, he and his partner Magdalena Witty are discovering Central Asia in an electric car. 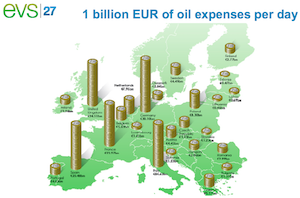 They’re website is: www.eexplorer.life. All photos courtesy of Benedikt and Magdalena.